This CE-certified activity will address several important clinical practice gaps related to atopic dermatitis, including current knowledge of inflammatory pathways that contribute to disease pathogenesis, appropriate and effective use of currently available therapies, and patient/caregiver education strategies for the management of mild to moderate atopic dermatitis. Kammi Yap Sayaseng, DNP, RN, PNP-BC, IBCLC, is an Assistant Professor and Graduate Program Coordinator in the School of Nursing at California State University in Fresno. In addition to teaching full time, she works part time as a primary provider Pediatric Nurse Practitioner in an outpatient setting. 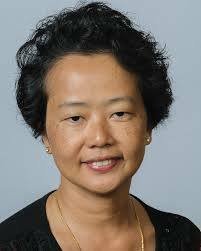 Dr Sayaseng received her undergraduate and master’s degrees in nursing from California State University in Fresno. She received her Doctor of Nursing Practice from the University of San Francisco, in California. Dr Sayaseng’s primary clinical focus is the treatment and management of pediatric skin conditions, including atopic dermatitis. She is a frequent presenter of dermatology topics at local and national meetings and has authored continuing education activities for the National Association of Pediatric Nurse Practitioners (NAPNAP). An active NAPNAP member, Dr Sayaseng is president of the San Joaquin Valley Chapter and a Nominations Committee member of the national NAPNAP. Peggy Vernon, RN, MA, CPNP, DCNP, FAANP, is a Dermatology Nurse Practitioner and owner of Creekside Skin Care, a full-service dermatology practice in Centennial, Colorado. Ms Vernon earned her pediatric nurse practitioner certificate from the University of Colorado Health Sciences Center, in Denver. She received her master’s degree in agency counseling from the University of Northern Colorado, in Greeley, and her post-master’s nurse practitioner certificate in dermatology from Regis University in Denver, Colorado. 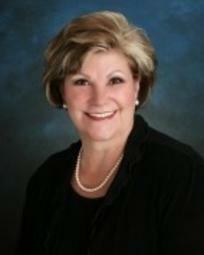 Ms Vernon’s clinical interests include all clinical dermatology, especially pediatric dermatology. She is a frequent speaker at national and international meetings and to her credit has more than a dozen publications, including peer-reviewed journals and book chapters. During her distinguished career, Ms Vernon has received many honors and awards. She has the distinction of being Colorado’s first dermatology nurse practitioner, and most recently, Ms Vernon was named as a Fellow of the American Association of Nurse Practitioners. The opinions expressed in this educational activity are those of the faculty and do not represent those of NAPNAP or Spire Learning. This activity is intended as a supplement to existing knowledge, published information, and practice guidelines. Learners should appraise the information presented critically and draw conclusions only after careful consideration of all available scientific information. This educational activity may contain discussion of published and/or investigational uses of therapies that were not indicated by the FDA at the time of publication, including roflumilast and apremilast. Please refer to the official prescribing information for each product for discussion of approved indications, contraindications, and warnings. Further, participants are encouraged to consult appropriate resources for any product or device mentioned in this activity. Two types of grades are provided for any treatment recommendations made in this activity. This program is accredited for 0.5 NAPNAP CE contact hours of which 0.25 contain pharmacology (Rx) content, per the National Association of Pediatric Nurse Practitioners Continuing Education Guidelines. There is no fee to participate in the activity, which should take approximately 30 minutes to complete. If you wish to receive full credit for participating in this activity, you must view the online activity and complete the online evaluation with a 70% passing score on the posttest. We cannot award credit unless all steps are completed. This credit is valid through July 20, 2018. No credit will be given after this date. This educational activity is sponsored by Spire Learning, and accredited by the National Association of Pediatric Nurse Practitioners (NAPNAP). 1. Al-Ghazzewi FH, Tester RF. Impact of prebiotics and probiotics on skin health. Benef Microbes. 2014;5(2):99-107. 2. Baldwin HE, Bhatia ND, Friedman A, et al. The Role of Cutaneous Microbiota Harmony in Maintaining a Functional Skin Barrier. J Drugs Dermatol. 2017;16(1):12-18. 3. Beck LA, Thaçi D, Hamilton JD, et al. Dupilumab treatment in adults with moderate-to-severe atopic dermatitis. N Engl J Med. 2014;371(2):130-139. 4. Bos JD, Meinardi MM. The 500 Dalton rule for the skin penetration of chemical compounds and drugs. Exp Dermatol. 2000;9(3):165-169. 5. Carr WW. Topical calcineurin inhibitors for atopic dermatitis: review and treatment recommendations. Paediatr Drugs. 2013;15(4):303-310. 6. Chamlin SL, Mattson CL, Frieden IJ, et al. The price of pruritus: sleep disturbance and cosleeping in atopic dermatitis. Arch Pediatr Adolesc Med. 2005;159(8):745-750. 7. Eichenfield LF, Boguniewicz M, Simpson EL, et al. Translating atopic dermatitis management guidelines into practice for primary care providers. Pediatrics. 2015;136(3):554-565. 8. Eichenfield LF, Tom WL, Chamlin SL, et al. Guidelines of care for the management of atopic dermatitis: section 1. Diagnosis and assessment of atopic dermatitis. J Am Acad Dermatol. 2014;70(2):338-351. 9. Eichenfield LF, Tom WL, Berger TG, et al. Guidelines of care for the management of atopic dermatitis: section 2. Management and treatment of atopic dermatitis with topical therapies. J Am Acad Dermatol. 2014;71(1):116-132. 10. Friedlander SF, Simpson EL, Irvine AD, Eichenfield LF. The Changing Paradigm of Atopic Dermatitis Therapy. Semin Cutan Med Surg. 2016;35(5 Suppl):S97-S99. 11. Hanifin JM, Ellis CN, Frieden IJ, et al. OPA-15406, a novel, topical, nonsteroidal, selective phosphodiesterase-4 (PDE4) inhibitor, in the treatment of adult and adolescent patients with mild to moderate atopic dermatitis (AD): A phase-II randomized, double-blind, placebo-controlled study. J Am Acad Dermatol. 2016;75(2):297-305. 12. Jarnagin K, Chanda S, Coronado D, et al. Crisaborole Topical Ointment, 2%: A Nonsteroidal, Topical, Anti-Inflammatory Phosphodiesterase 4 Inhibitor in Clinical Development for the Treatment of Atopic Dermatitis. J Drugs Dermatol. 2016;15(4):390-396. 13. Kruse L. The Relationship between Sleep Disturbance, ADHD, and Atopic Dermatitis. Paper presented at: 42nd Annual Society for Pediatric Dermatology Meeting; July 14-17, 2016; Minneapolis, MN. 14. O’Connor NR, McLaughlin MR, Ham P. Newborn skin: Part I. Common rashes. Am Fam Physician. 2008;77(1):47-52. 15. Paller AS, Tom WL, Lebwohl MG, et al. Efficacy and safety of crisaborole ointment, a novel, nonsteroidal phosphodiesterase 4 (PDE4) inhibitor for the topical treatment of atopic dermatitis (AD) in children and adults. J Am Acad Dermatol. 2016;75(3):494-503.e4. 16. Rather IA, Bajpai VK, Kumar S, et al. Probiotics and Atopic Dermatitis: An Overview. Front Microbiol. 2016;7:507. 17. Ring J, Möhrenschlager M, Henkel V. The US FDA ‘black box’ warning for topical calcineurin inhibitors: an ongoing controversy. Drug Saf. 2008;31(3):185-198. 18. Shani-Adir A, Rozenman D, Kessel A, Engel-Yeger B. The relationship between sensory hypersensitivity and sleep quality of children with atopic dermatitis. Pediatr Dermatol. 2009;26(2):143-149. 19. Shaw TE, Currie GP, Koudelka CW, Simpson EL. Eczema prevalence in the United States: data from the 2003 National Survey of Children’s Health. J Invest Dermatol. 2011;131(1):67-73. 20. Siegfried EC, Hebert AA. Diagnosis of atopic dermatitis: mimics, overlaps, and complications. J Clin Med. 2015;4(5):884-917. 21. Simpson EL, Irvine AD, Eichenfield LF, Friedlander SF. Update on Epidemiology, Diagnosis, and Disease Course of Atopic Dermatitis. Semin Cutan Med Surg. 2016;35(5 Suppl):S84-S88. 22. Stein SL, Cifu AS. Management of atopic dermatitis. JAMA. 2016;315(14):1510-1511. 23. Usatine RP, Riojas M. Diagnosis and management of contact dermatitis. Am Fam Physician. 2010;82(3):249-255. 24. Zuberbier T, Orlow SJ, Paller AS, et al. Patient perspectives on the management of atopic dermatitis. J Allergy Clin Immunol. 2006;118(1):226-232.